· What are the options to do if the product crashes while burning? To get a successful burning, please always make sure you are using the latest version. That is, click on Help > Check for Updates… (For Mac version, click on Wondershare DVD Creator on top menu and select Preferences > Update). Or you can reinstall the program using the following link to ensure of it. If you are alreadying using the latest version but still meet the issue, we'll ask you to find the program's log file and contact us. And we will be able to offer further assistance. Here is the way to find the log files. (1) Right-click the icon of the program, and select Properties > Open File Location, it will direct to the installation folder of this program. (2) Find a folder named "log" and send all the files in the folder to me. 3. Find DVD Creator.log and attach it to me. 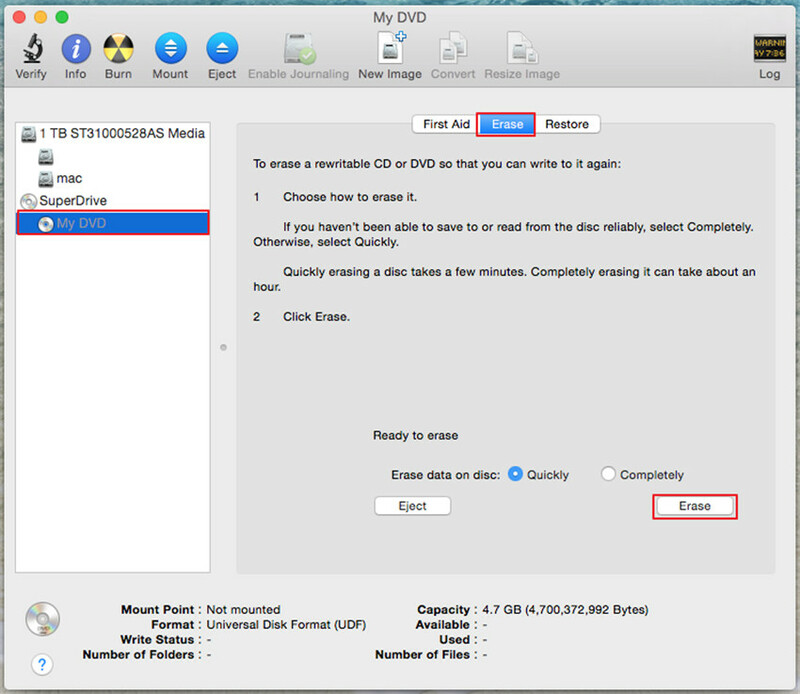 · How to fix the issue when the software prompts “please insert a DVD disc”? If you still get a prompt to insert a disc when you already have one inserted, the following instructions will assist you with that situation. 1. Try another blank disc or another brand of disc if you have one available. 2. Take the disc from the DVD drive, and close the software. Then insert the disc again and restart the software to try again. 3. Update the driver for the DVD drive on your computer. 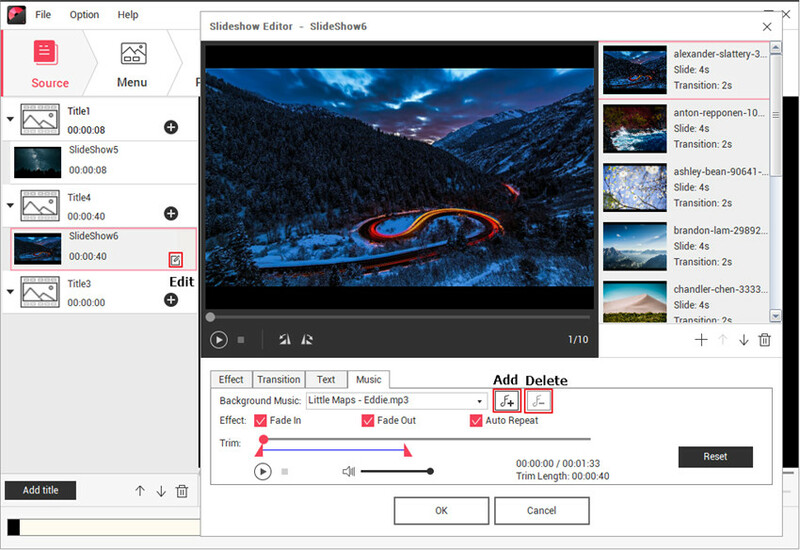 Note: Before you shut down the software, make sure that you save the files you are editing as a project file from the DVD Creator window. 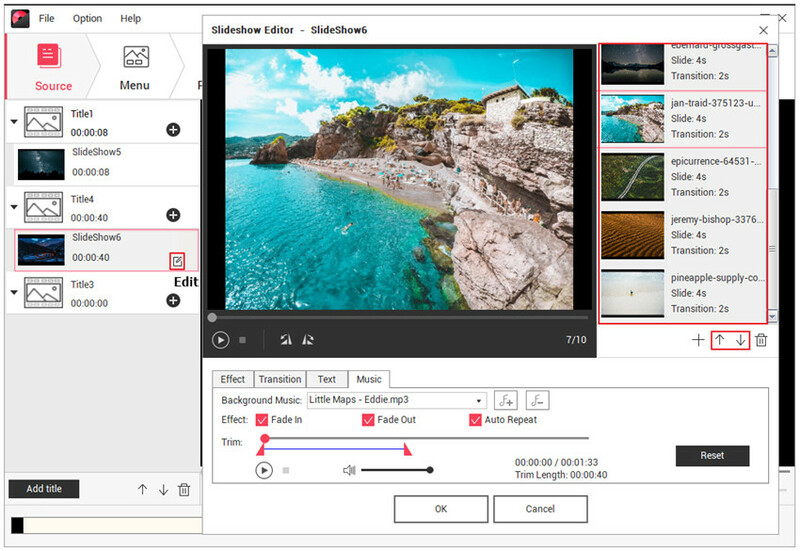 The DVD Creator allows you to re-import the project upon restarting the software and won't lose any of your work. To update the driver for your DVD drive, it’s recommended to go to the manufacturer’s website and look for an updated driver. Alternatively, Windows update will frequently add updated drivers for hardware. · What is the solution for the prompt “not enough space on the disc”? When you burn a video to a disc, the quality of the video will often dictate the size of the final burned version. There are three options available: High Quality, which will maintain the best video quality, however, it will require the most space. Standard, which will still maintain a decent video quality and lower the size of your file. Fit to disc, which will give you the smallest file size while sacrificing quality of the video. · What are the options if the software freezes during the burning process? If you have too many processes or programs running on the computer while trying to do the burn, it will often cause the software to freeze up expectantly. The first option would be to ensure that your project has been saved, and then restart your computer to free up resources. An alternative option would be to save your file as an .ISO file, and then burn said .ISO file to a DVD using the built in tools in Windows. Refer to the following steps for that process. 1. 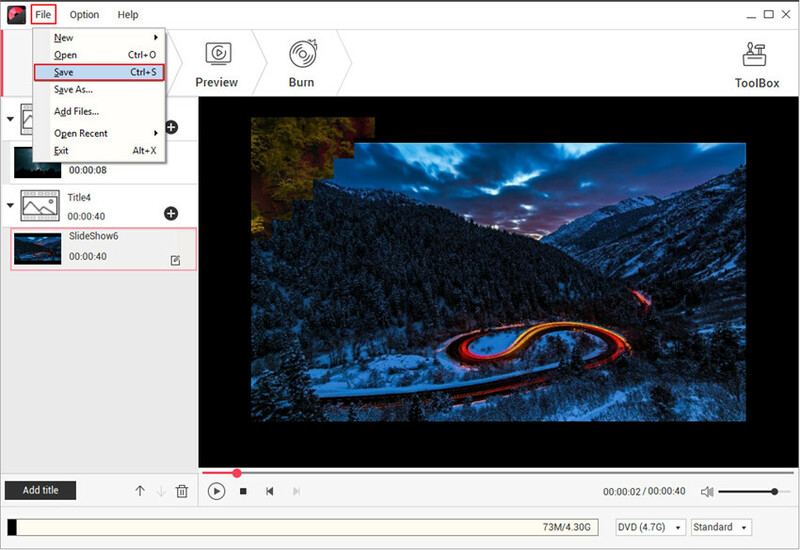 Change your destination for exporting the file from DVD to ISO on the Burn tab. 2. Select the output folder that you want to save the file to, such as your desktop or another folder location. 3. Click “Burn” to start creating the ISO file. 4. 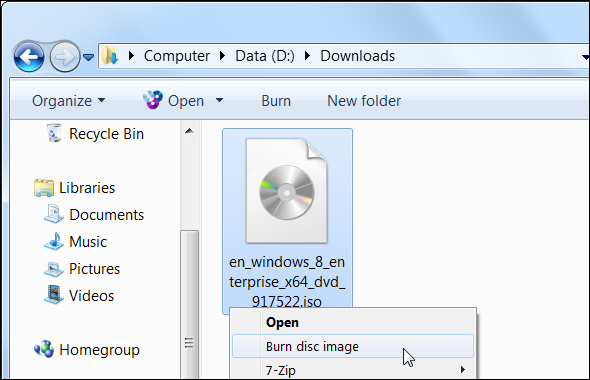 Navigate to the output folder that you saved the ISO file, and double click the file (or right click (right mouse button) and choose “burn disc image”) to allow you to transfer the data to a DVD using Windows 7 or above. If you are using a previous version of Windows (Windows Vista or earlier) you would need to download a free ISO burner from the Internet. · What are my options if the system says the temp folder does not have enough space? When you are burning a DVD, the software requires three times the size of the file in temporary space on your computer to allow for a quality burn. If you encounter this error, it would be recommended to set your temporary folder to be on a different partition or drive on your computer which has more than the needed space available. Alternatively, you can move some files that aren’t needed all of the time over to removable media to clear up space on your drive. To be able to alter the temporary folder location, click on the icon in the image below to open the browser, and set the location that you want. · Why will the DVD not play on my home DVD player? If your DVD will not play on your home player, there are a couple of situations that can cause this problem. 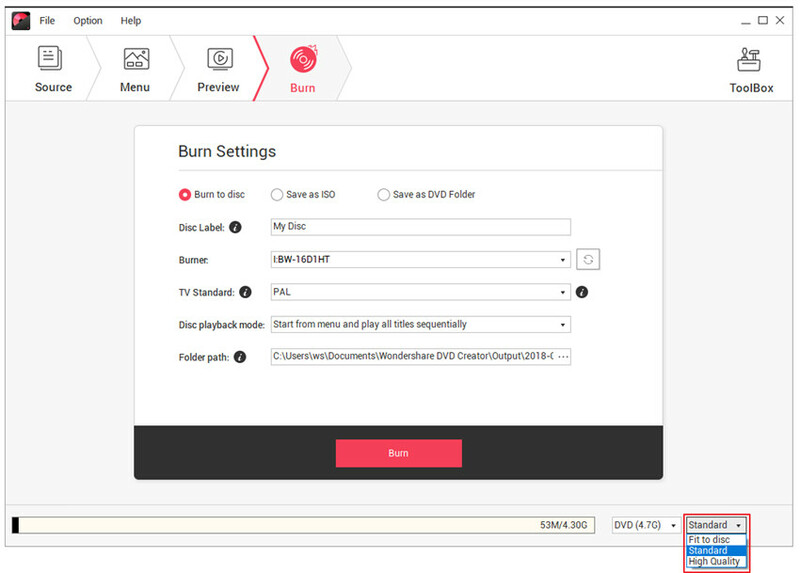 It is suggested that you verify that the disc will play properly on your computer, as that would verify if the burn was completed properly. Another issue to look into is to make sure that the disc you are using is compatible with your DVD player, as some require specific discs. The types of disc include DVD-R, DVD+R, DVD-RW, DVD+RW, DVD+R DL, DVD-R DL, DVD-5 and DVD-9. Or you can go to this website for help: http://www.videohelp.com/dvdplayers. One other option to verify is that you are using the correct TV standard for your country. Under the Burn tab and go to the TV Standard option to choose the one you need. 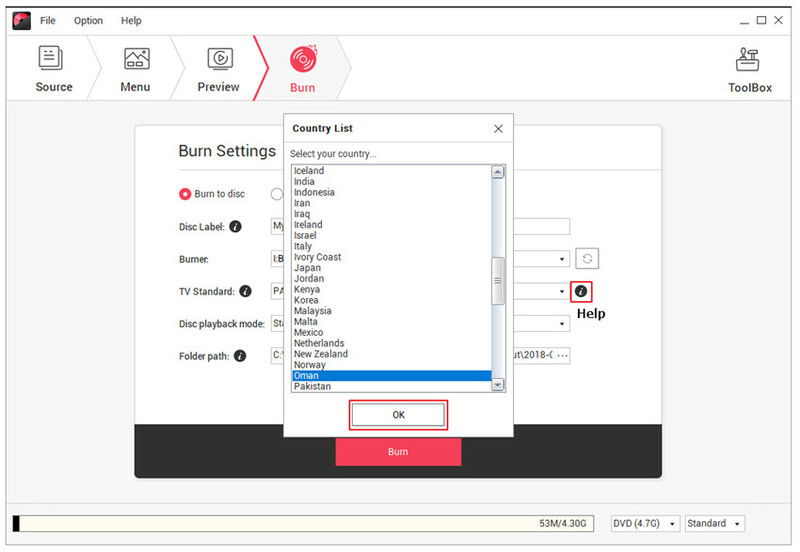 If you are unsure, click on the Help button to select your country and click OK, DVD Creator will help to select the right standard for you automatically. · Why can't I load the video file? If your video format is listed as supported, and you are still encountering difficulty, there may be a special codec that is in the video. For these situations you may want to try a different product of ours, Wondershare Video Converter Ultimate, to load the file and burn it. If you are still experiencing difficulty, contact us with the video information, and a detailed description of what you experienced so that we can offer further assistance. 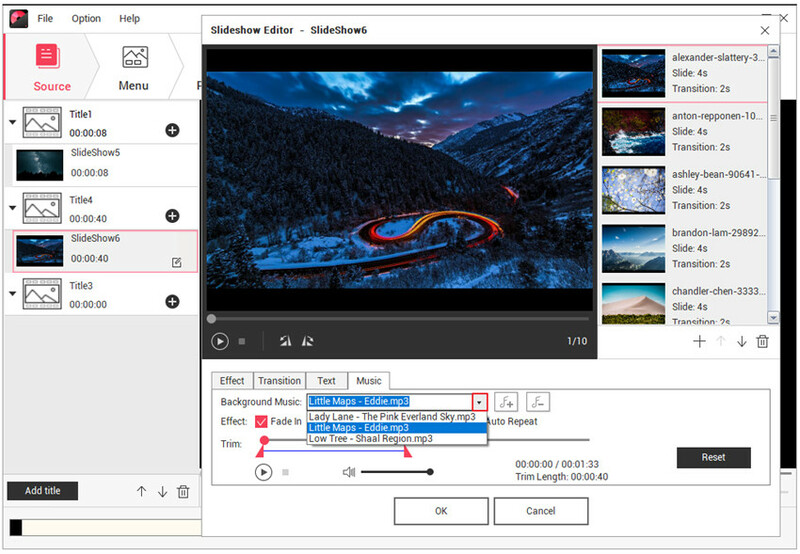 · How to create a Blu-ray DVD? 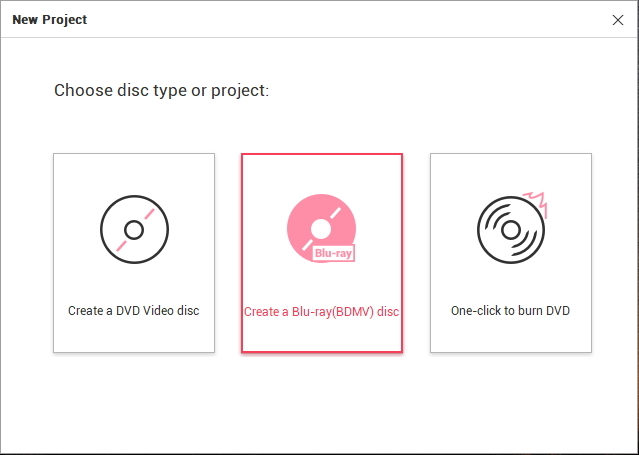 To create a Blu-ray DVD, while launching the program, choose the option Create a Blu-ray(BDMV) disc. Note: Mac version doesn’t support creating a Blu-ray DVD on the current version. · How to save as ISO? To save as ISO, go to the Burn tab on the top and select Save as ISO under the Burn Settings. Follow the folder path listed to find the saved ISO file on your computer’s local hard drive. · How to save my work for further editing? To save your work for further editing on the next time, click on File and select Save or Save as or you can press Ctrl + S directly to save it. It will be saved as a.wdc project file which can be opened using Wondershare DVD Creator program. 1. You can double click the saved .wdc project file to open it. 2. Please do not change the location of the used files on the project file or delete any, otherwise, the file will be lost while you re-open it. · How to change the TV standard mode? Under the Burn tab and go to the TV Standard option to choose the one you need. If you are unsure, click on the Help button to select your country and click OK, DVD Creator will select the right standard for you automatically. · How to loop my DVD? 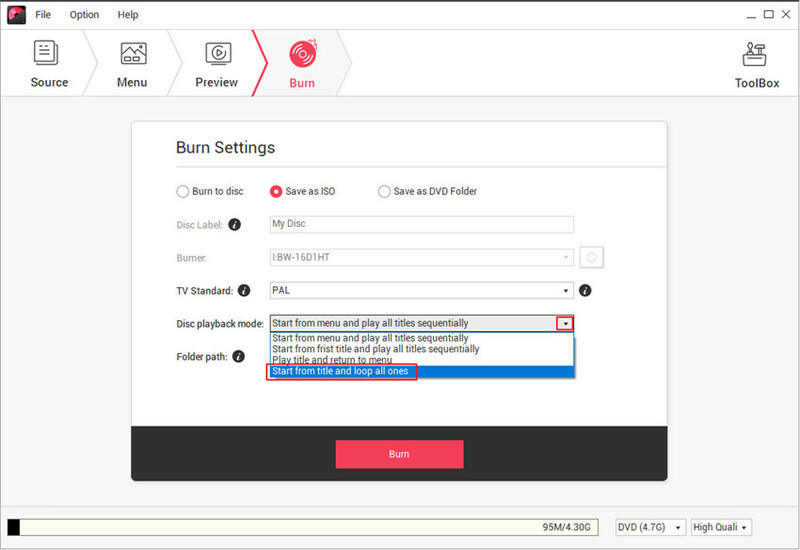 To loop your DVD, under the Disc Playback mode of the Burn tab, click on the drop down arrow and select the fourth option Start from title and loop all ones. · How to improve the output quality? For the best output quality, on the lower right corner of the program, select High Quality. Even so, the highest quality of the standard DVD is 720*480 which is determined by the DVD itself even if your source video is in 1920*1080. If you hope for higher quality, you can burn to Blu-ray disc which is 1920*1080. If you are using a rewritable DVD which is not empty, you would receive this prompt. Mac version doesn’t support erasing the RW disc within the program automatically on the current version. Before using the RW disc, if it is not empty, you need to erase it manually. Here is for how to erase the RW disc using Mac. Go to Launchpad > Others > Disk Utility, on the left panel, select your disc like My DVD, on the right panel, click on the Erase tab to erase it. After erasing, eject and reinsert the DVD so that DVD Creator can recognize it. · How to add background music for my photo slideshow? Follow the steps below to add background music for your photo slideshow. Step 1: On the Source tab, add your photos. Step 2: Click on the Edit button next to the photo’s thumbnail, on the pop up window, you would find a song is in default and if you click on the up down arrow, there are another two songs for choice. If you want to add your own music, click on the Add button. If you don’t hope for any background music, click on the Delete button. · How to reorder my photos? After you add the photos, click on the Edit button next to the photo’s thumbnail, on the pop up window, drag and drop the photo to order it directly or click on the up/down arrow to order it. · How to make more DVD copies? 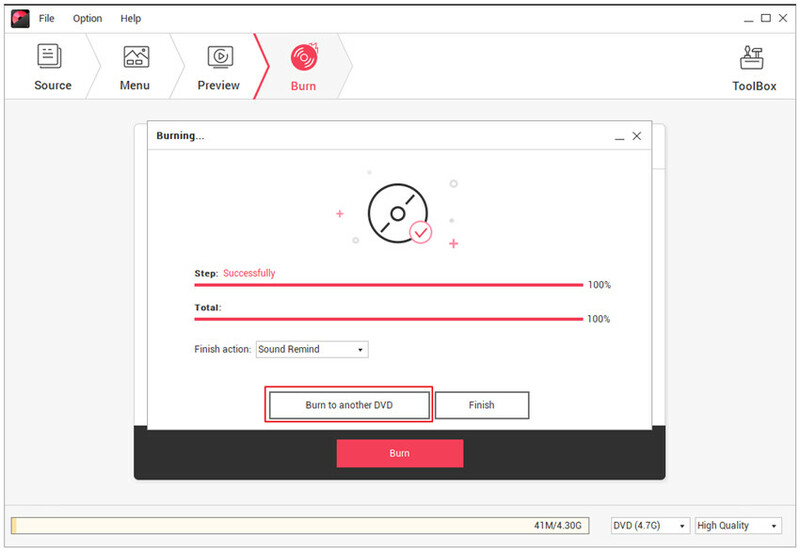 When you finish burning one DVD copy, DVD Creator will prompt whether you want to burn another one, click on the Burn to another DVD button and insert a blank DVD to continue. If you can't find the right answers from the above FAQs, you can find more support from the following items.